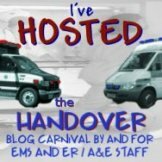 I have just been reading a very interesting post over at ‘The EMT Spot’ which is entitled ‘5 Hard Questions EMS 2.0 Needs to Address’. It got me thinking, then had me commenting, then had me realising that the comment was getting really rather long, so I thought I should post it here instead! In my humble opinion, we have already realised that there is no need, and in fact no possibility for unity and standardisation across somewhere as huge and diverse in systems as America. It works to a point in the Uk, but we are just an iddy biddy country compared to you guys over the pond. Instead of striving to create unity and standardisation, we should be trying our best to focus on best practices and use them as a template to adapt current and new systems to encompass the good that has been learned and put in place else where – that is where the Chronicles can come in and help out a little, by sharing systems with other agencies to show what has worked else where. As far as where the rally cry should lie, it is somewhere square in the middle of the two opposing camps.If we all go to one extreme or the other we will be seen as radically either for or against one point of view. To embrace the community, administrators and managers, we need to be able to show that we responsibly can challenge both sides of the argument. We can share best practice but we can also try to improve and comment on areas which may be ready for improvement and development. It`s all about how it is approached and the manner in which we share information. For CoEMS and our community to be respected, it is essential that we blog and film with integrity and understanding of our primary committment, that of the patients that we care for. Again, we can all encourage unity towards the common goal of a new and improved, more responsive, better patient focused pre-hospital health care system, whilst still allowing individual systems to meet the unique needs of their patient population, service provision and specific geographical challenges. It is the goal that we all want to see achieved, there may be many different ways to actually get there. In fact, that is what makes this whole thing so exciting, it gets individuals thinking, groups of people discussing and whole systems to share ideas. In that respect, the unity behind one banner can actually encourage creativity and innovation, not stifle it! See above. Embracing EMS 2.0 doesnt mean losing control. It encourages each and every individual system to adapt and develop to rise to their own potential, to meet the needs of their patients and their staff. EMS 2.0 is a concept, not a text book which is prescriptive in how to deliver emergency and urgent care. EMS 2.0 is something to aspire to. Something to be embraced and shared with the medics in the system. To move forward will raise moral of the medics in the system, improve care and patient satisfaction and will elevate the term Paramedic, to a true health care profession standing. It is something that EMS has been waiting for and needing and now is the time to take it forward, whilst we gather the attention of the EMS world. Now this is something that goes beyond my reach, I have ideas, but how they would ever happen in the US maybe an impossibility. The glaringly obvious solution is that instead of hospitals benefiting from pre-hospital care, then it is just shared amongst those other health care providers that have responded to the new needs created by the new and improved EMS service. If an ‘urgent care clinic’ suddenly sees a business potential in opening its doors to direct ambulance referrals for minor injury and illness patients instead of transporting to an out of area ER, then kudos to them and allow them to make some profit from providing service that is needed and appreicated in their own community. If an ambulance service historically gets its funding from transport to the hospital, then surely some of that revenue can just be transferred to the clinic that has just opened that will now take ambulance patients, and they will then pay the cost of the transport to their facility. Dont get me wrong, this is an almost impossible task to comprehend, never mind to put into place, but I am hopeful that someone far more intelligent than me can maybe think of a wat to change the funding system to encourage EMS services to be innovative in the way that they approach patient care. So, what do you guys think? Are we asking for the impossible? Is this all going to be for nothing? I would love to hear your thoughts……. « EMS Today 2010, Baltimore Roundup! We certainly aren't asking the impossible. The future is coming whether we choose to influence it or not. The only question will be the degree of our success and how long meaningful reform and improvement will take. I tend to be a pretty patient guy.The concern that all of this could be for nothing has already passed. We're already encouraging the debate and influencing people to ask, “How could we make this better?” You, sir, are a huge part of that.I like your answers Mark. Thanks for your contribution. Thanks for being a change agent. The EMS 2.0 movement is very US-centric. What are your thoughts on the introduction of EMS 2.0 in the UK? To be honest, I think we are a lot closer to EMS 2.0 already in the UK.I can feel a blog post coming on!